What conditions does Spinal Decompression treat? When other conservative treatments for spine and disc problems have failed, spinal decompression offers another non-surgical treatment option which is gentle, non-invasive and typically does not involve pain medications. Spinal decompression is also indicated for many patients who have been prescribed back surgery, but are looking for a less invasive option to try first. Many of our patients continue to avoid surgery by having spinal decompression done on a regular basis. The treatment is not only painless, but also comfortable and relaxing. In fact, some patients fall asleep during the spinal decompression session. It is an affordable pain free alternative that allows the body to heal naturally and has shown a very high success rate at reducing or even eliminating back and neck pain. This treatment has been well researched in the medical community and we have had great personal success with our patients. 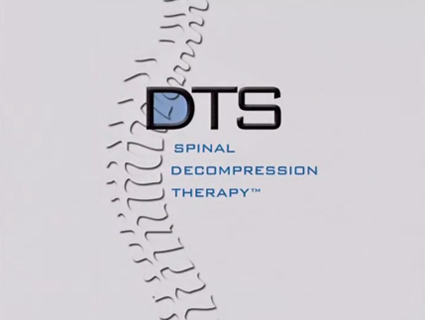 Decompression therapy is successful in treating degenerative, bulging/herniated and protruding discs, even after failed surgery, (Over 80% of people with herniated, bulging and degenerated discs in the neck and back have experienced reduction of their symptoms with spinal decompression.) It is also effective in treating sciatica, stenosis, Posterior Facet Syndrome, Acute Facet Problems, Spinal Root Impingement, as well as relieve acute and chronic low back and neck pain. It effectively treats these conditions to help patients live a pain-free life and return to a more active lifestyle. Dr. Levy uses simple, yet sophisticated equipment which decompresses the spine in a precise, computer-controlled environment and is customized to meet each patients needs and physical attributes. It is manufactured by the leading rehabilitation equipment manufacturer in the US, is FDA cleared, and has thousands of installations worldwide. 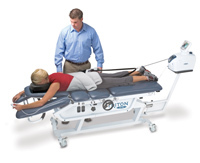 Unlike any other decompressive device, there are several positioning options, which helps the patient be 100% comfortable during treatment so complete rehabilitation of the discs and spine can be achieved in the shortest period of time. During this procedure, through distraction and relaxation phases, and by proper positioning, a spinal disc in the neck or low back can be isolated and placed under a negative pressure, causing a vacuum effect within it. This “vacuum effect” accomplishes many things. From a mechanical standpoint, disc material that has protruded or herniated outside the normal confines of the disc can be pulled back within the disc by the vacuum created within the disc. This negative pressure promotes the diffusion of water, oxygen and nutrients in the vertebral disc area, thereby re-hydrating the degenerated disc. Also, the vacuum within the disc stimulates growth of blood supply, secondarily stimulating a healing response. This results in pain reduction and proper healing at the injured site. Repeated decompression also promotes retraction of a herniated nucleus pulposis (the elastic core of the intervertebral disc). Therapy sessions typically are between 30-60 minutes and are administered while you are fully clothed. Your comfort and safety are of primary importance during decompression therapy. The procedure is non-invasive, and most patients can carry-on with normal daily activities. Depending the specific condition, patients might also undergo Acupuncture, Electrical Stimulation, Ultrasound, and Therapeutic Massage. Part of our decompression therapy program includes rehabilitative exercises. Many patients feel pain relief with as few as 8-10 treatments. However, the treatment program usually takes longer for severe cases. Sometimes patients have waited too long before they found out about Spinal Decompression and may no longer be candidates for treatment here. If at anytime during your treatment we feel a referral to another physician is in your best interest, we will help make those arrangements. Dr. Levy has practiced in the Tri-Bury area for 39 years and has an excellent working relationship with area Orthopedic and Neurosurgeons. Our prices are very affordable and the cost of treatment is minimal compared to the cost of surgery and other offices offering spinal decompression. Our staff will verify and explain all of your insurance benefits or limitations in detail before starting any treatment. Several payment options are also available and a monthly payment plan can be a much better financial decision than a 10% or 20% insurance co-payment on back surgery. Interest free financing is also available through Care Credit.